Alumnus Domenic Forte, who was advised during his Ph.D. studies by Professor Ankur Srivastava (ECE/ISR), received a prestigious 2016 Army Research Office (ARO) Young Investigator Award to investigate “game-changing approaches in human-to-device authentication that explicitly tie electronic system operation to certain individuals by combining biometrics with hardware obfuscation” said Forte. The three-year award is worth 150k. 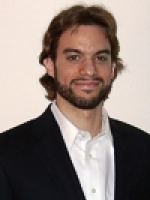 Forte is an Assistant Professor in the ECE Department at the University of Florida. Previously, he was an assistant professor in the ECE Department at the University of Connecticut. He received his Ph.D. in Electrical and Computer Engineering from the University of Maryland in 2013. His current research focuses on Counterfeit Detection and Avoidance, Hardware Security Primitives, Hardware Trojan Detection and Prevention, Nanoscale Integration Challenges, Reverse Engineering and Anti-reverse engineering, Design tools, metrics, and rules for hardware security; and Biometrics. The ARO Young Investigator Program recognizes young faculty less than five years out of doctoral studies who show exceptional promise for creative research. The objectives of this program are to attract outstanding faculty members to the army research program, support innovative research and encourage teaching and research careers.